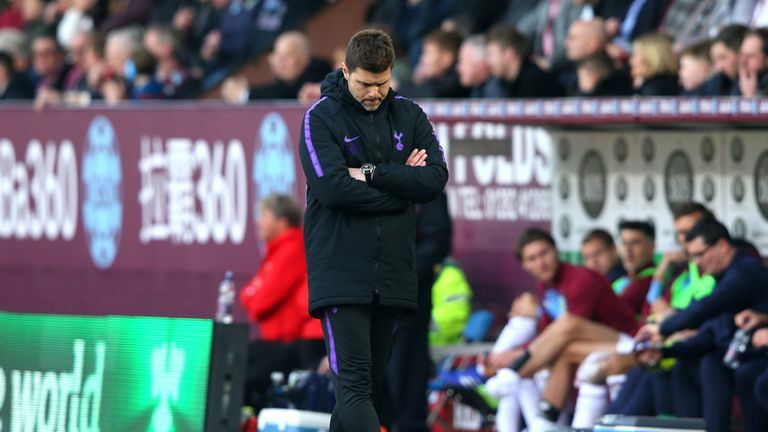 Tottenham's title challenge hit the buffers as they suffered a 2-1 defeat at Burnley, despite Harry Kane scoring on his return from injury on Saturday. 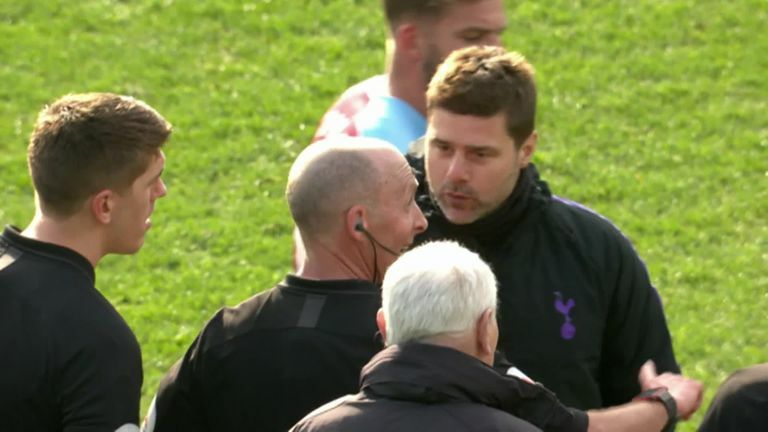 Spurs could have closed the gap to leaders Manchester City and Liverpool to two points but fluffed their lines as they were blunted by Sean Dyche's dogged outfit, with Tottenham boss Mauricio Pochettino clashing with referee Mike Dean at full-time. There was controversy at both ends when Chris Wood headed the hosts in front (57) before Kane - on his first start for six weeks - drew his team level (65). That seemingly set the platform for another late Spurs rally but it was Burnley that notched the decisive goal with seven minutes remaining when Ashley Barnes prodded home from close range. Burnley are now unbeaten in their last eight Premier League games - their longest unbeaten top-division run for 44 years. Kane looked sharp in the early stages but Burnley sat deep and defended in good numbers to keep Spurs quiet in attacking areas. Barnes curled a sumptuous effort just over from a tight angle just before the break as the teams went in level. 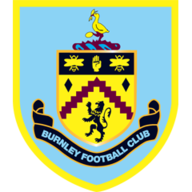 With Spurs continuing to plod along in possession - bar a rasping Kane drive that was spectacularly tipped away by Tom Heaton - Burnley took a shock lead. 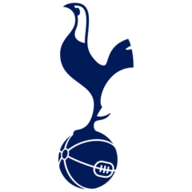 After a debatable corner was awarded after a tangle of legs between Jan Vertonghen and Jeff Hendrick, Wood out-jumped Juan Foyth and planted a looped header home via the underside of the crossbar. As the Burnley players celebrated, Pochettino was seen arguing with the fourth official at the award of the corner. 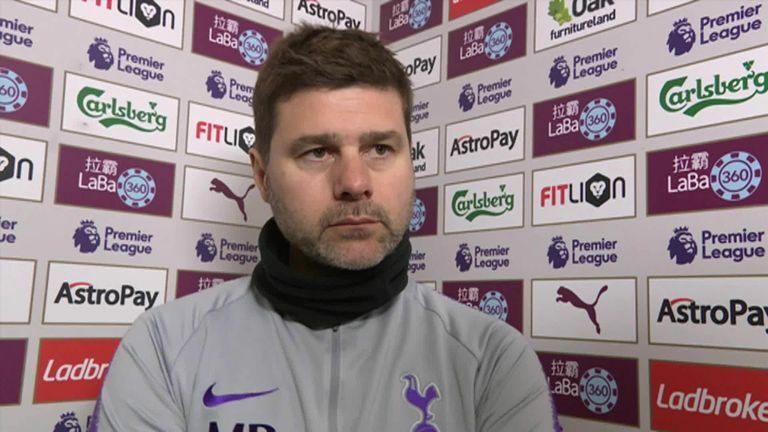 Pochettino's side were only behind for seven minutes, though, thanks to some incisive quick thinking from Danny Rose and a quite ruthless finish from Kane. Rose was quickest to react to a Spurs throw-in and, after advancing around 10 yards beyond where the ball had gone out, launched his throw over the top of the Burnley defence for Kane to chase. The England striker held off the challenge of Ben Mee before finding the far corner with a precise finish. 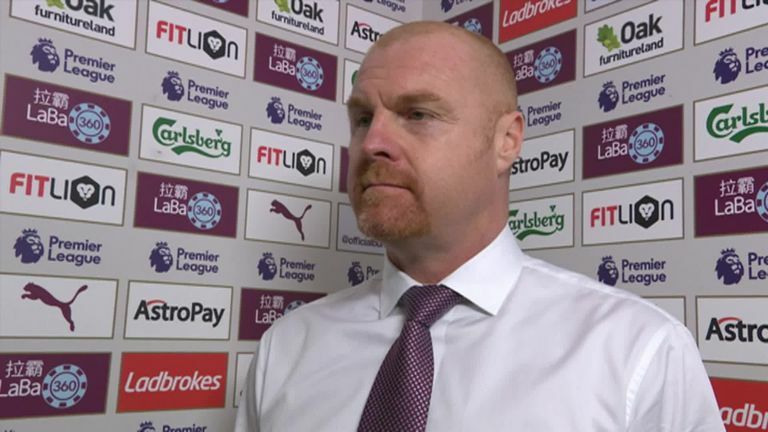 Spurs had scored late goals against Fulham, Newcastle and Leicester in recent weeks but couldn't fashion another salvo as Burnley finished like a train. Johann Berg Gudmundsson made an instant impact from the bench, creating space down the left and rolling in a clever cross that was finished at the back post by Barnes. Burnley were beaming while Tottenham's title bid was left in tatters. The striker gave Spurs a warning in the first half with a testing effort from a tight angle that whistled over the bar. He would get the goal his performance deserved as the clock ticked down and he showed his predatory skills to win the game for his in-form side. His partnership with Wood continues to flourish, in total they've scored 17 goals between in 17 starts together at the club. A deadly duo. Burnley striker Wood has netted four goals in his last four Premier League appearances, as many as in his previous 27 in the competition. Kane has scored five goals in his seven Premier League appearances against Burnley, including four in his last three. Barnes has scored in each of his last four Premier League games (4 goals), after netting in just three of his previous 24 in the competition (4 goals). Johann Gudmundsson has registered 15 assists for Burnley in the Premier League, nine more than any other player. Tottenham go to Chelsea in midweek for a Wednesday night clash while Burnley play Newcastle on Tuesday.